A blazing whirl of fantastic colors-brilliant red against flame yellow with a green contrast. 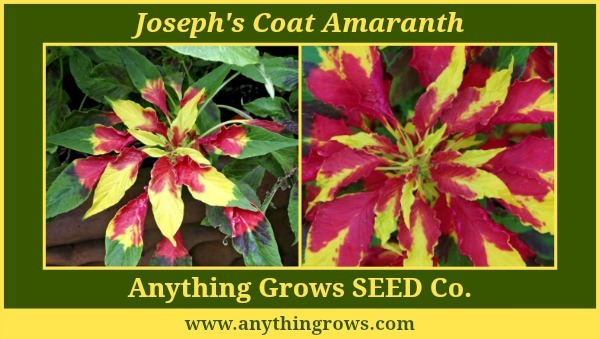 Joseph's Coat is beautiful when used in containers, edging or mass plantings. 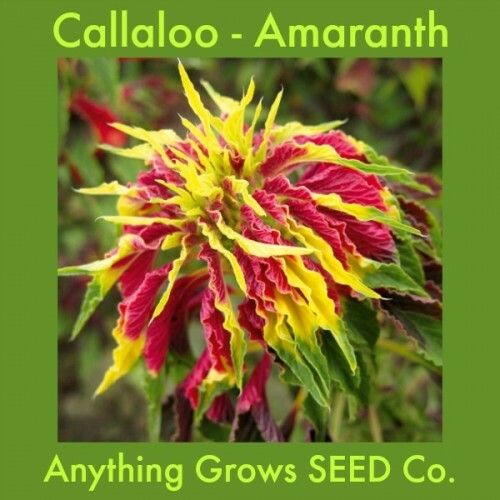 So striking it can be planted as a specimen plant. Celebrate with the fireworks of this spectacular centerpiece. Grows up to 3', full sun. Heat and drought tolerant. Amaranthus tricolor. 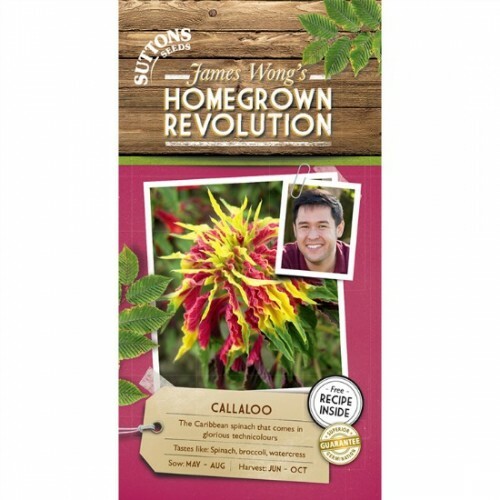 Callaloo is also a delicious spinach-like vegetable with a rich, earthy, broccoli-like flavour. Extremely versatile in the kitchen and decorative in your garden. 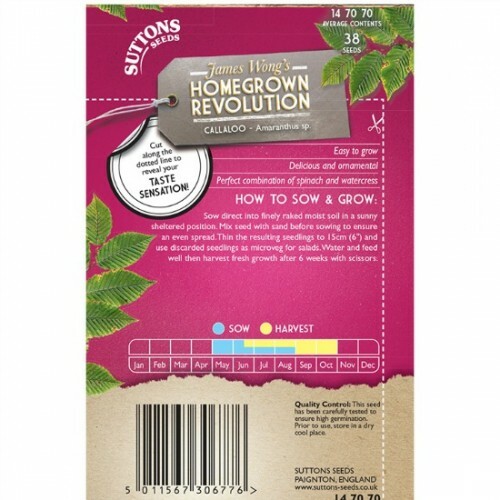 Sow June-August. Harvest: June-October. Tastes like: A mix of spinach, broccoli & watercress.